Using Google Places API you can put your EXACT location into our database to pinpoint therapists that are registred in your area. If you are seeking a specific therapy then you can also narrow down the therapists that will be returned to you on your search. ( Note: For ONLINE consultants leave out your location and select Online from the category dropdown for worldwide online therapists). If your chosen service is available, a map and a list of therapists within your local vicinity will return that specialise in the service that they require. The map makes it easy to see how far away the therapist is from the client’s home which can help in making decisions about which therapist to choose. 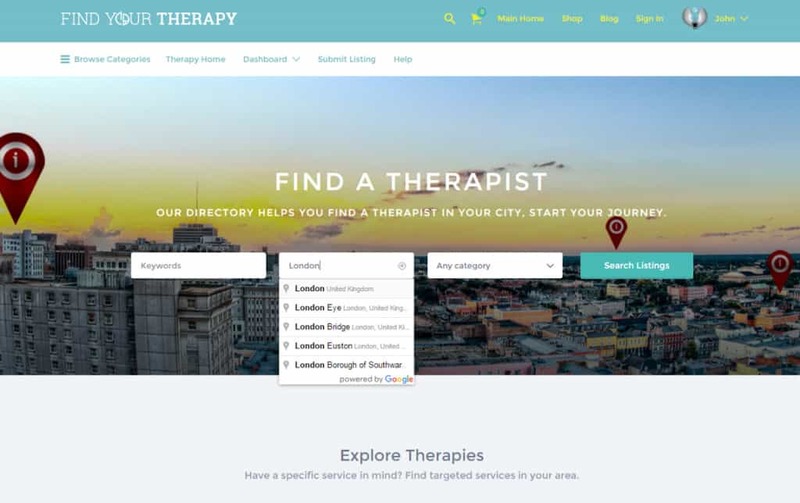 For more information about a therapist you can either hover over a button on the map and then click the pop up or select one of the options below the search box. Once you have selected a therapist from the list you will find a specific page describing the services provided, location, opening times, photos and possibly a video ( if the therapist chooses to include one). Below this will be a place to review your experience of the therapy and read previous reviews of other clientele so that you have a good understanding of what to expect and can make your decision on whether this particular therapist is the right one for your needs.